Item # 159716 Stash Points: 6,495 (?) This is the number of points you get in The Zumiez Stash for purchasing this item. Stash points are redeemable for exclusive rewards only available to Zumiez Stash members. To redeem your points check out the rewards catalog on thestash.zumiez.com. 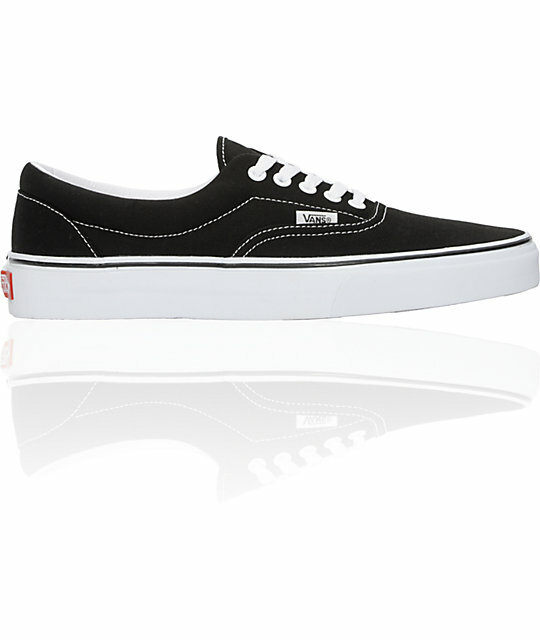 Get yourself a pair of some of the most iconic shoes in streetwear today, with the Vans Era Black & White Skate Shoes. These shoes feature a mostly black construction with a contrasting white sole for a classically simplistic look. 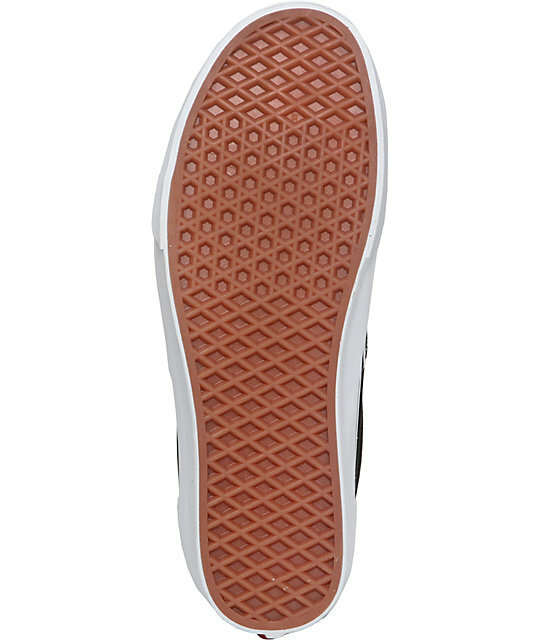 Vans signature waffle tread is added for grip, while the padded collar and cushioned footbed maximize comfort. Finished with double stitching and a seamless toecap for durability, along with a vulcanized insole for skate performance, these shoes will handle whatever beatings you throw their way. 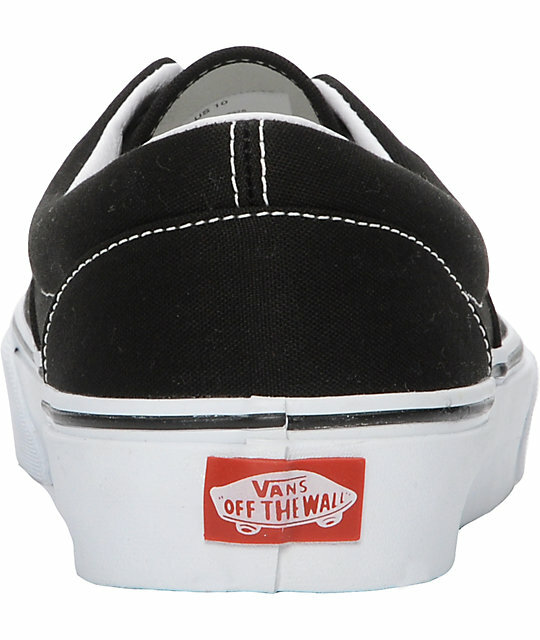 Era Black & White Skate Shoes from Vans. 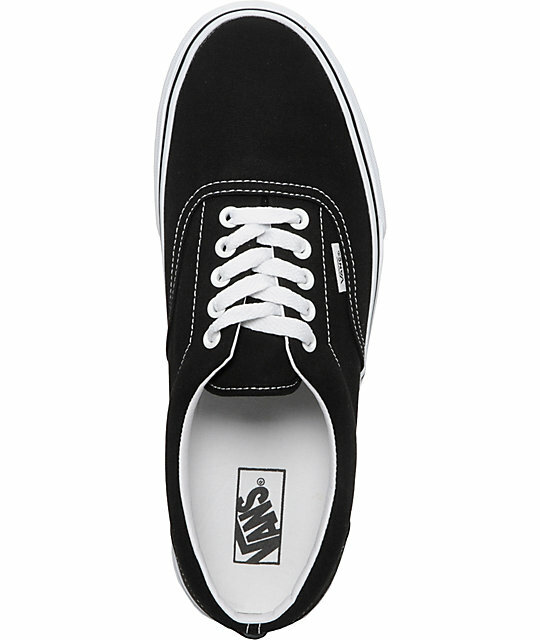 All black canvas upper with white outsole.